Everton believe they have identified a site within the Liverpool city boundaries for a new 50,000-capacity stadium to replace Goodison Park. The Premier League club's chief executive Robert Elstone said several plots were being examined and one in particular, which he refused to name. "The stadium remains a big priority," said Elstone. "We hope it comes to fruition and if it does I think it's something that the city and our fans will be proud of." 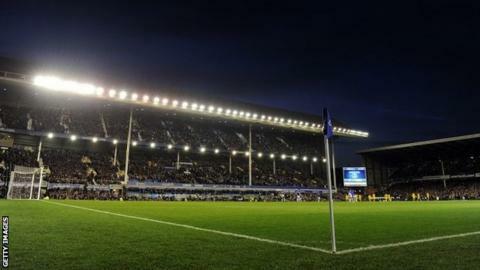 In 2010, the Toffees planned to build a £400m 50,000-seat stadium in Kirkby as part of a complex with a superstore and other shops, but the proposal was rejected by the government. Everton are now exploring options in collaboration with Liverpool City Council to see if they can get a new plan off the ground. Elstone, who said there could be further news on the matter by the start of next season, added: "The board is currently looking not only at this opportunity, but also the associated risks and the debt that the club may well have to take on to deliver this. "[But] we wouldn't be investing what we're doing without thinking it had a chance of success."